Point of Contact is hosting an opening reception for “Sueños: Celebrating the Surreal,” an exhibition curated by assistant director and art history graduate student Natalie McGrath on Friday, Sept. 7. An Artist Talk and Gallery Tour with Joseph Kugielsky will commence at 5 p.m., followed by the reception from 6-8 p.m. The events are free and open to the public. Cash bar and light hors d’oeuvres will be served. Free parking is available on the night of the reception in the Syracuse University lot on the corner of West Street and West Fayette Street. “Sueños: Celebrating the Surreal” will be on view through Sept. 21 at the gallery. Admission is free. The gallery is open for viewing Monday through Friday from noon-5 p.m. or by appointment. 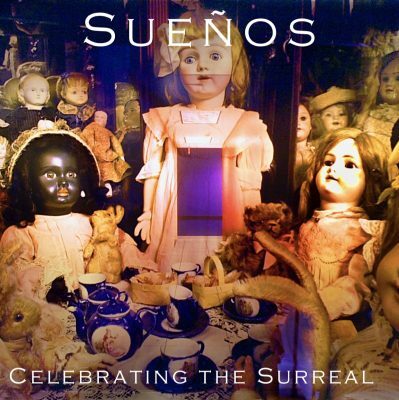 “Sueños: Celebrating the Surreal,” titled after the Spanish translation for “dreams” and in honor of Hispanic Heritage Month, is a multimedia installation that features a majority of Latin American artists whose works share in the qualities of surreal or dream-like imagery. This exhibition is composed of works from the permanent collection of Point of Contact Gallery, Light Work, Syracuse University Art Galleries and the Community Folk Art Center.